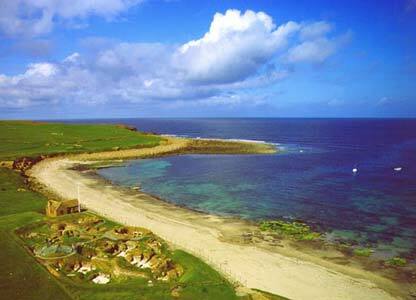 The group of six houses and a workshop at Skara Brae, by the shore of the Bay of Skaill, is connected by a covered close, and all the buildings except for the workshop were buried to the tops of the walls. 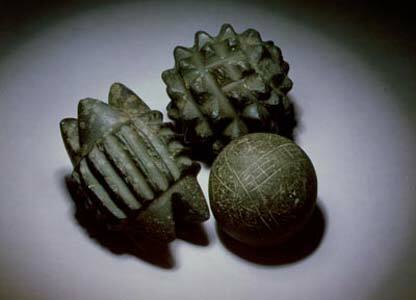 Various objects were found at Skara Brae, although the purpose of these isn't known. Neolithic art, perhaps? 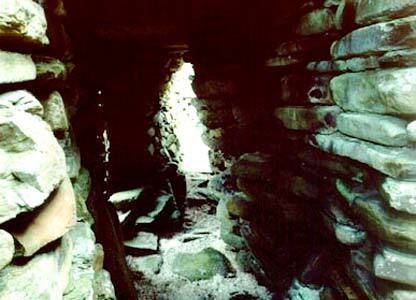 The houses vary in size from over six metres square to barely four metres square, with a maximum surviving wall height of 2.4m. The designs are all quite similar. 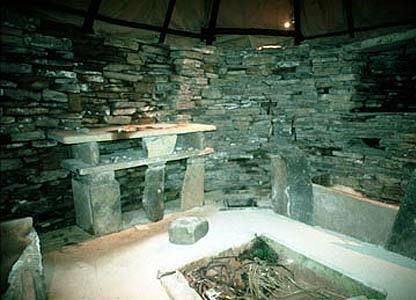 A replica house at Skara Brae Visitor Centre which was built at a discreet distance from the monument, designed to help spread the heavy visitor load by absorbing some of the pressure that would otherwise be concentrated solely on the monument. 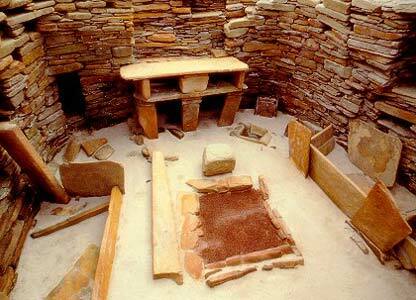 The streets at Skara Brae, like the huts and workspace, were covered to keep out the elements. Some of the stone slabs used for this are still in place. 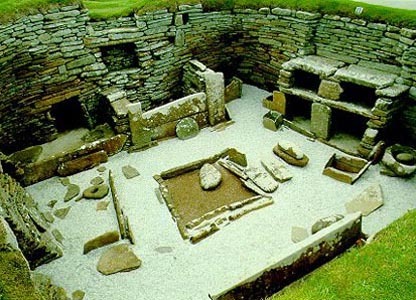 Evidence at Skara Brae suggests a self-sufficient life-style which, however, does not exclude contact with other groups, or even with mainland Scotland, which can be seen from Sandwick. Boats of the period were certainly adequate to make the journey. Images and original text copyright © Charles Tait. Reproduced with permission.